It’s important to the note that Catfish prey on all types of people. Anyone can fall victim to an internet scam, not just the naive or socially inexperienced. 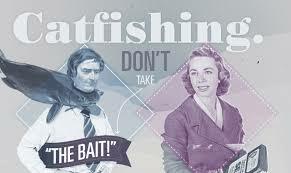 Falling for a Catfish has nothing to do with intelligence or rational thinking – it’s all about HOPE. When seeking love online, we put ourselves out there and subsequently make ourselves quite vulnerable. Sometimes, our desire to find our ideal partner outweighs our rational thinking. Our right brain (emotional) tends to dominate our left brain (rational) and the inner voice that says “I want love” becomes so much louder than the voice that says “be careful”. To stay safe, maintain your communication on our site for as long as possible. Many Catfish attempt to coax you away to instant messaging or private email, thus reducing your level of control over the communication. « Online Dating? What Can You Do to Achieve Success!